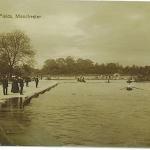 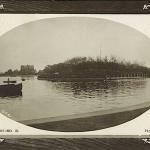 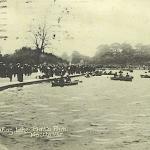 The Boating Lake, always popular!! 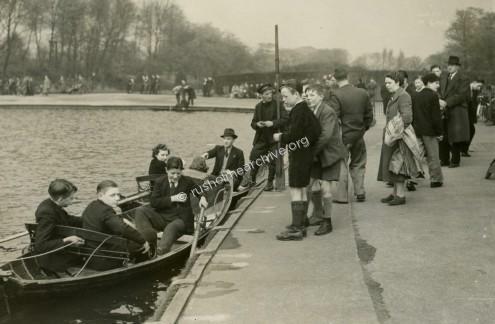 Britain at War, May 1941. 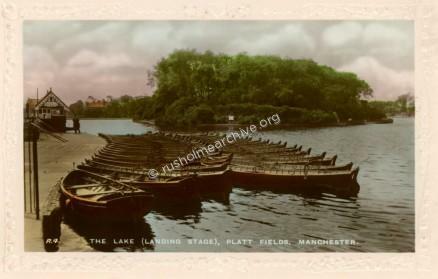 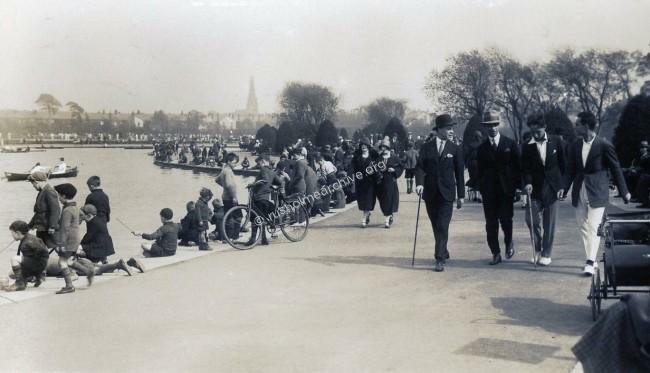 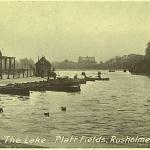 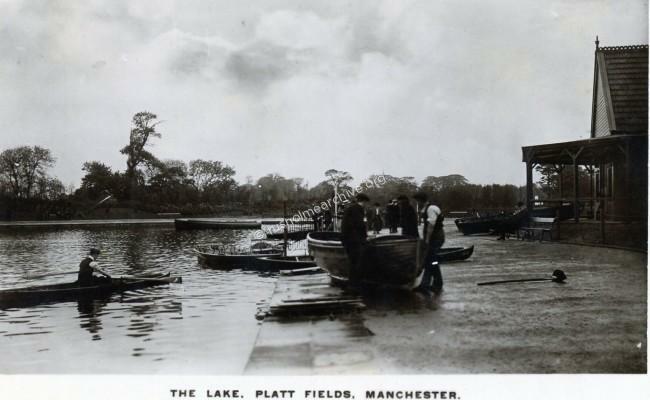 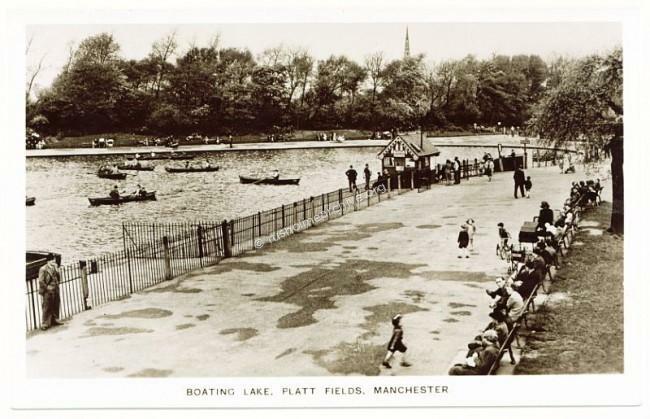 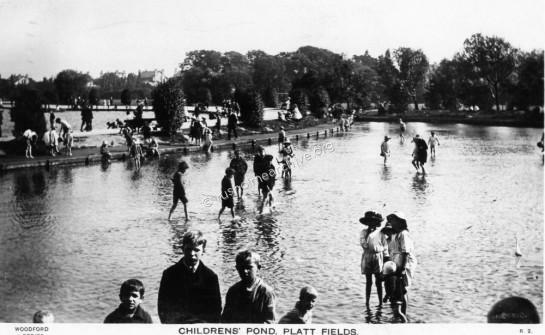 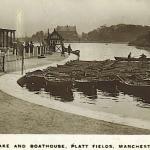 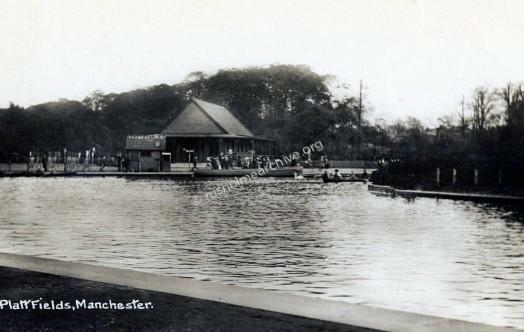 Even during the second world war the lake, below, was very popular, young people and parents, (looking anxious), gave families a moment of escape from the heavy bombing that 6 months previously had claimed nearly 700 lives in Manchester. 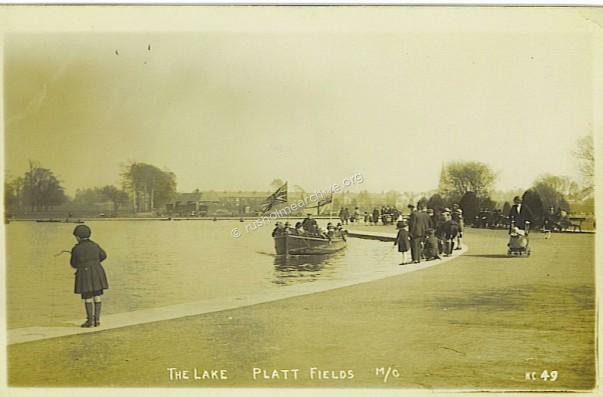 When those poor men laboured away through the winter of 1908-09, moving tons of earth to create the lake and the island, apparently without mechanical excavators, I wonder if they realised how popular this part of the Park would become. 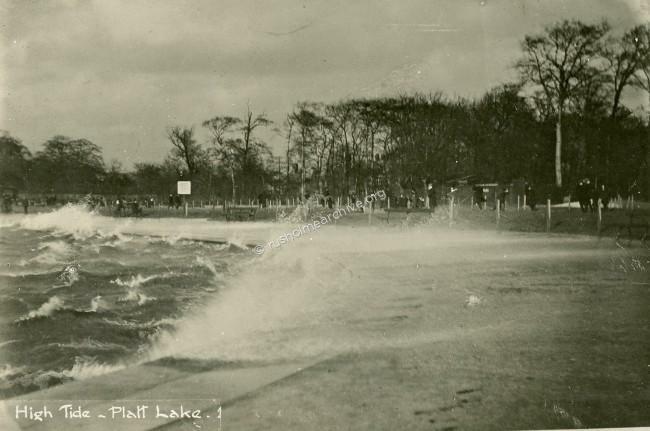 The view below must have been a very windy day! 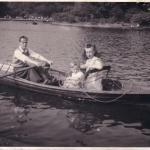 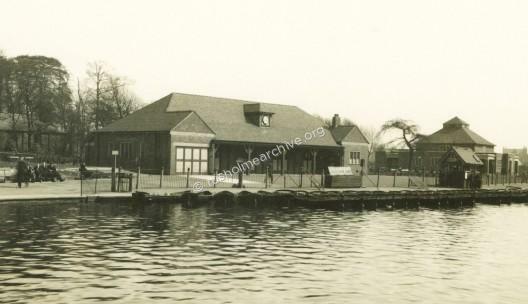 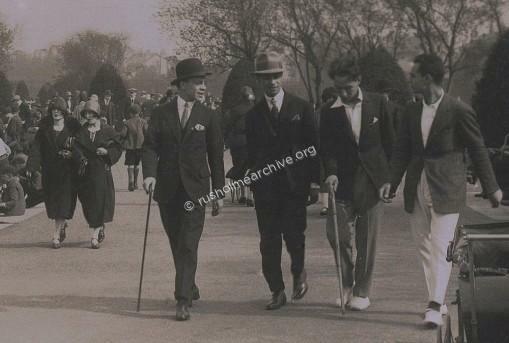 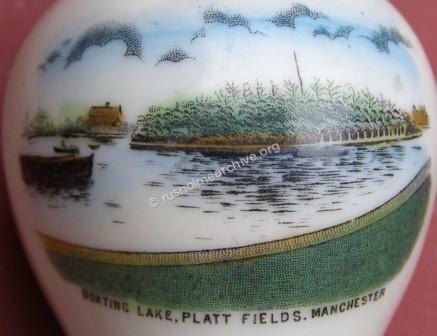 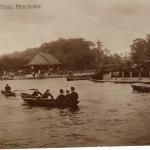 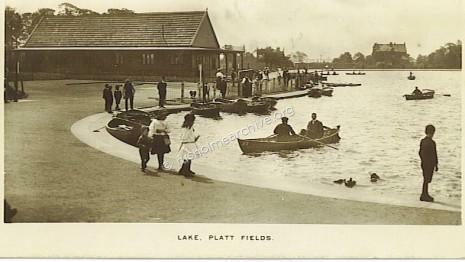 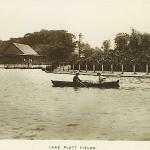 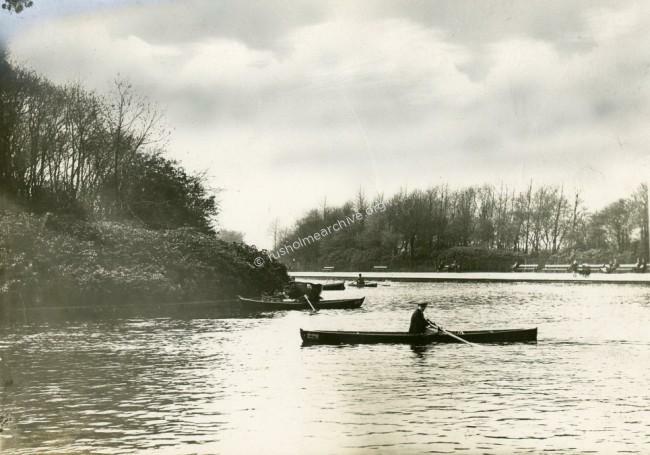 There are endless pictures of the lake, so many have children playing by the waterside, some 50 boats or more could be hired for rowing around the lake, whilst two motor launches, (one named William Royle), could take the less energetic around the island. 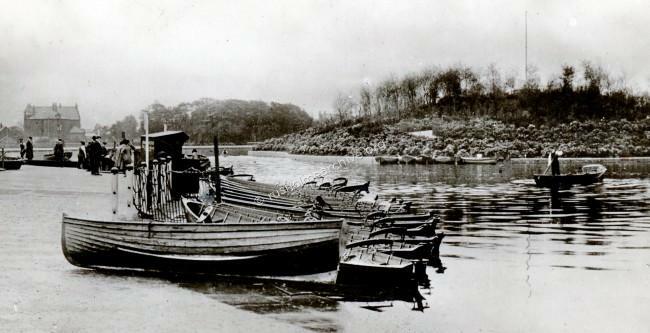 Take your pick from this further selection!